The National Hockey League's 2004-05 season was never played. A dispute between the NHL owners and Player's Union (NHLPA) evolved from a disagreement on issues such as a salary cap and a collective bargaining agreement (CBA). The season started with the owners "locking out" the players by not holding camp or opening the season in October. NHL Commissioner Gary Bettman canceled the 2004-05 season on February 16, marking the first time a professional sports league cancelled its entire schedule. In all, 1,230 games were lost. The Stanley Cup was not awarded – the first time since 1919, when an influenza epidemic canceled the finals. After several days of marathon negotiating, the NHL and the players’ union finally reached a deal on July 13, 2006, ending a 301-day lockout that cost the entire hockey season. The CBA included a salary cap of $39 million and a minimum of $21 million. Player salaries were held at 54 percent of league-wide revenues. Players who were still under contract had their salaries reduced by 24 percent. There were several rules changes adopted to excite the fan base and increase scoring: the size of goaltender's equipment was reduced, the center redline was removed to allow two-line passes, goaltenders were no longer permitted to play the puck behind the net and shootouts would eliminate tie games. 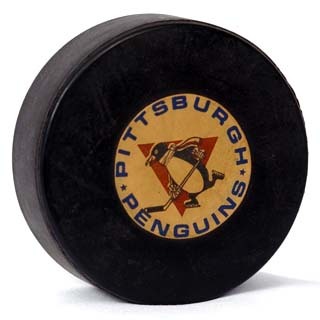 The Pittsburgh Chamber of Commerce estimated that the region lost $48 million when 42 hockey games were cancelled at the Mellon Arena.